Rabbi Jory Lang has served as spiritual leader of Beth Moshe Congregation in North Miami since 1989. Previously, he served the Beth El Congregation of North Bay Village. Prior to serving as a pulpit rabbi, he was the Executive Director of the Talmudic University of Florida, the largest Yeshiva in the southeastern United States. He completed his undergraduate studies at the University of Miami, B.A. in Religious Studies, earned an M.A. in Judaic Studies at Barry University and an M.A. in Talmudic Studies from Talmudic University of Florida. He did his post graduate work at the Jewish Theological Seminary of America and earned a Doctorate in Pastoral Counseling from Sinai University in Jerusalem. He also earned a Doctor of Ministry at the Florida Center for Theological Studies, his doctoral thesis titled “G-d’s Children on the Couch,” was a new model for therapy called Biblical Narrative Therapy. Rabbi Lang is the founder and president of the Chessed Foundation, a well-respected charitable organization that provides pastoral counseling, group therapy, medical assistance, food and funds for those in needs. He is also a foundation member of MORISHA, which is the rabbinic fellowship of the Union for traditional Judaism. 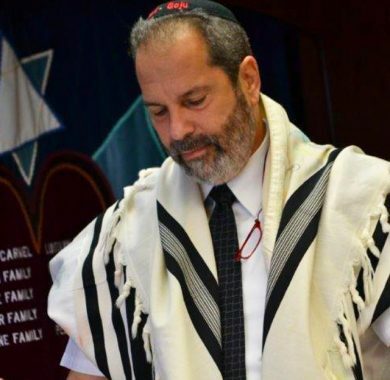 He served as the first Chaplain for the City of North Miami Politic Department and was the first Rabbi, in seventy years, to serve two consecutive terms as the President of the Rabbinic Association of South Florida. Rabbi Lang was named one of the top twenty-five Rabbis who made a significant impact in their community and across North America. This rabbinical award was bestowed upon him by the United Jewish Community (UJC) General Assembly. Rabbi Lang, an 8th degree black belt, won the US Open in 1979. He spends time teaching both adults and children the art of spiritualism and discipline in karate. He is the founder of Seishin-do and is the highest ranked student of Master Larry Pizzi in the martial art of Shurii -Goju. He is married to Ida Saferstein Lang, who is a Cantorial Soloist. They have two sons, Benjamin and Samuel. Both read Torah on Shabbat. Their daughter, Sarah actively participates in services and is a Thespian. Rabbi Lang was recently honored with a Lifetime Achievement Award by the North Miami Mayor’s Committee.